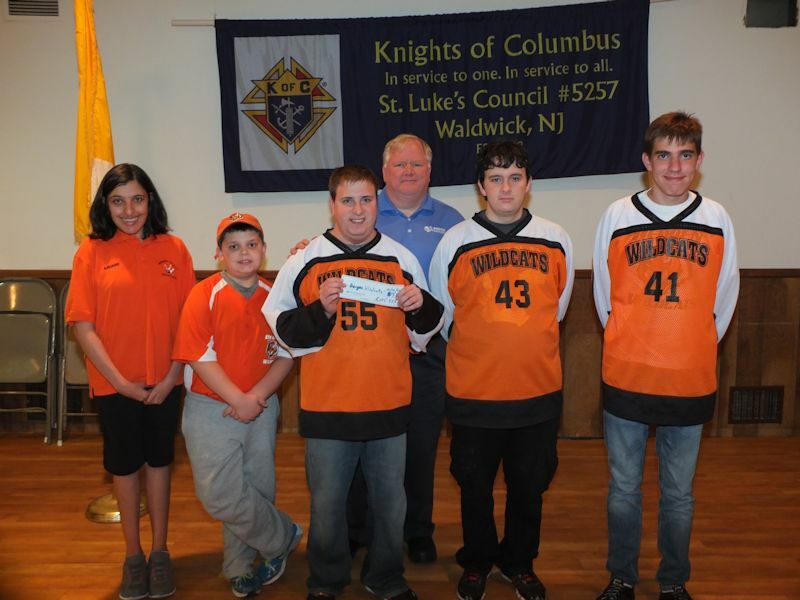 The Knights of Columbus, St. Luke’s Council of Waldwick, NJ continue their generous support of the Bergen County Wildcats Program. In October representative athletes accepted a check from Council members. Thank you for your support.